Not the type of Photo I want to take, however it is for a good cause, so I became Paparazzi, took the photo, then purchased a lottery ticket. This disabled person is selling lottery tickets. I thought this was a “Global Size Idea” that needs passed around. 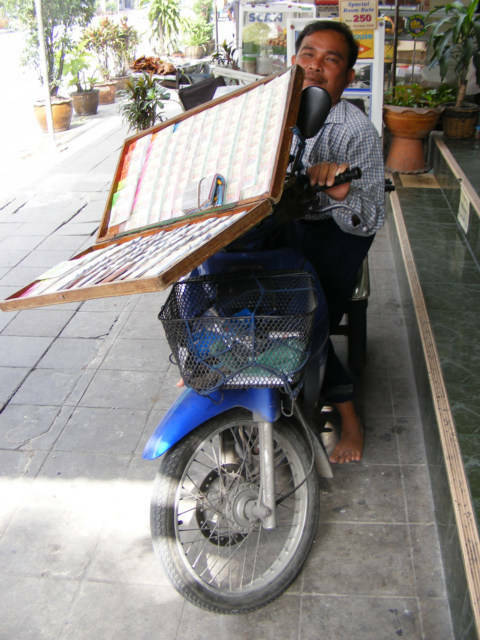 This is man who sits on his Motorcycle selling lottery tickets here in the Khao San area of Bangkok, Thailand. If you look close, you can see a wheelchair. 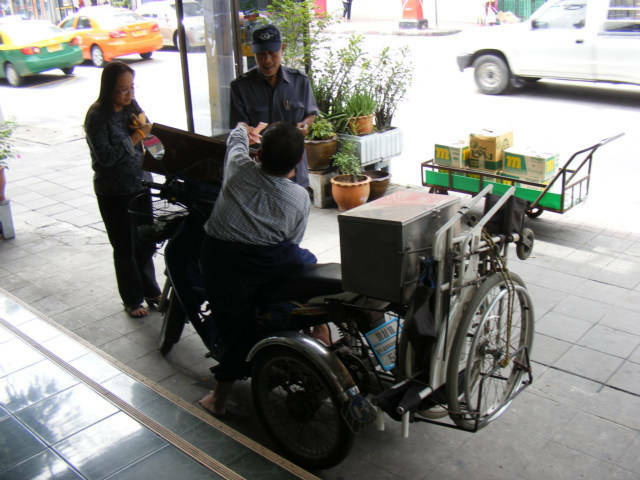 The way I understand it, there disabled people in Thailand have a special right to sell lottery tickets. This gives them job and a way to be productive, this is good idea that needs passed around. If you care about someone, if you love them, giving them money is not the answer, you can enslave a person with Love.